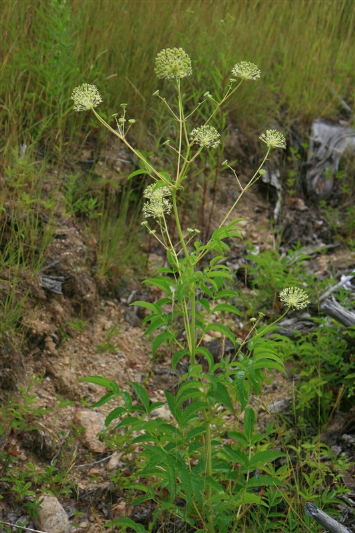 Aralia hispida plant. A. A. Reznicek. University of Michigan Herbariu. michiganflora.net (Accessed 9/2017). Leaves alternate, 2 times pinnately compound, few, leaflets narrowly egg-shaped, to 10 cm long, tip pointed, margin toothed. Aralia hispida flowers. By Donald Cameron. Copyright © 2017 Donald Cameron. New England Wild flower Society. gobotany.newengland.wild.org (Accessed 9/207). 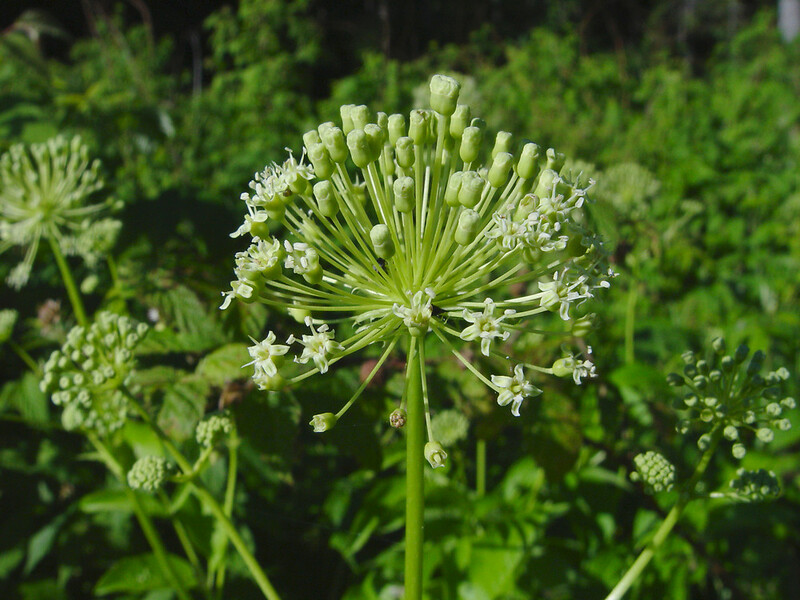 Flowers small, 5-parted, greenish, in several, long-stalked umbels; pollinated by bumble bees (Thompson et al. 1989), June-July. Fruit fleshy, dark purple, tipped by persistent style; eaten by birds and small mammals (Martin et al. 1951); seeds, about 5. 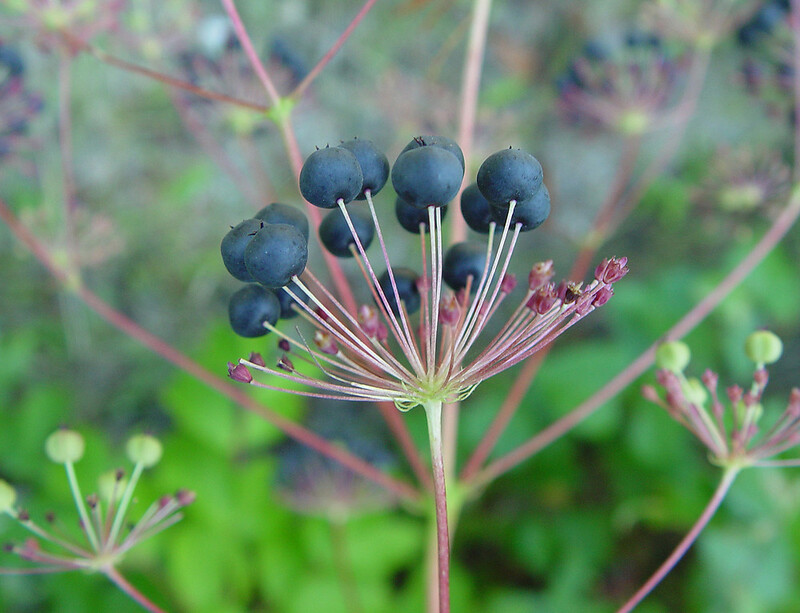 Aralia hispida fruit. By Arthur Haines. Copyright © 2017. New England Wild flower Society. gobotany.newenglandwild.org (Accessed 9/2017). Habitat: Undisturbed forest understories. Seen in dry sandy soil of a small oak barren.